FIRST off let's announce the Lemon Squeezy Shop giveaway winner. I would love the vintage glass tile, the vase o flowers, and the red flower...I know that's three but I had such a hard time narrowing it down to just those! They are so cute. Email me Brittany and I will get your info to Christie. Congrats! 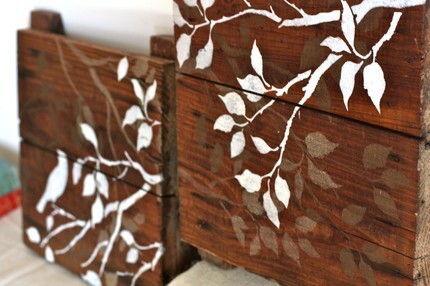 Today's giveaway is hosted by the sweet etsy shop Blues and Branches. 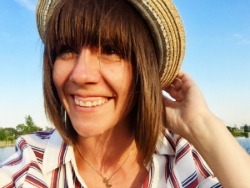 This is the creative store of Lemon Tree Creations' Erin. She is SO very talented. You're in love now aren't you??? So did you see that great blue wooden bead necklace? Do you want it? You do? I don't blame you. Erin is giving away one of these necklaces to one of you. YEAH!!! Go and check out Erin's Etsy shop and come back and let me know what would be a gift you would like to get or give. I love the double strand blue necklace - and the rosette balls! Love the vintage inspired blue dessert platter! Some yummy cupcakes would look adorable on that! Without a doubt, the vintage blue dessert stand. It would look perfect in my living room. The vintage blue dessert stand would be a perfect gift for my mom, she collects cake stands! I do love the blue wooden bead necklace (single strand.) So cute! I love the Decorative Rosette Balls, wish I could have them, or give them to my sister when she has her baby. I love her display blocks! I like the set of six banter display blocks! I love the .Vintage Inspired Blue Floral Tiered Dessert Pedestal. I love the blue necklace for myself and would give the birds and branches art to my sis. She would LOVE those! AAANNNNDD...of course I follow your blog. LOVE the blue wrap pattern lamps! My favorite are the wrap pattern blue lamps! I love the Triple Strand Yellow Wooden Beaded Necklace. I love the dessert pedestal. Love the single strand blue necklace. Something I could hint to the family to give to me for my birthday or christmas! I now follow. Lovely blog. I especially love the double strand blue necklace. I would love to have the blue lamps!! so cheerful and pretty. Perfect for my sewing room. I'm a follower...and yes, I'm in love with her stuff! I love the double strand blue necklace! This is a great giveaway! I am in LOVE with the single strand blue wooden necklace!!! So pretty! I love the birds and branches painted set! 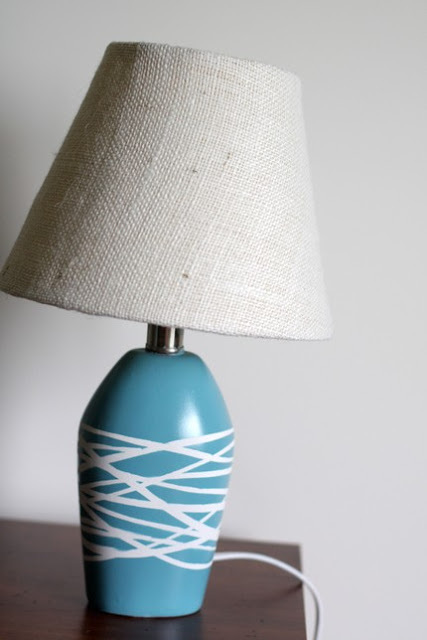 I like the blue patterned lamps! Very cute! I am a fan of Erin's work already and I'm planning on buying tie applique and making a shirt for my nephew's birthday. As for me, I'd like to get myself a set of her bird blocks, personalized! Thanks for sharing this giveaway. 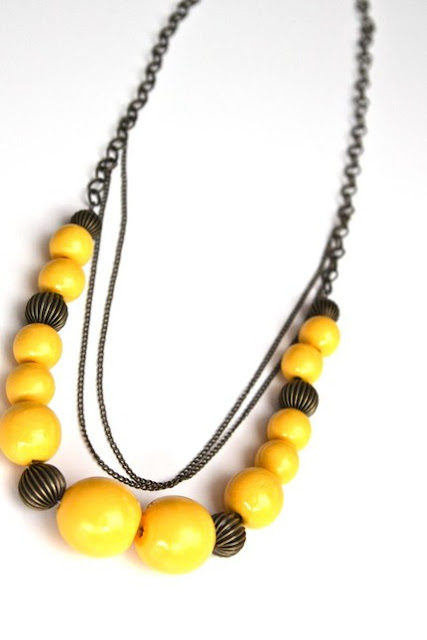 I love, love the "triple strand yellow wooden beaded necklace". I love the short twine trees.